The Nun 2 is moving forward as Warner Bros. and New Line have hired Akela Cooper to pen the screenplay for the sequel. 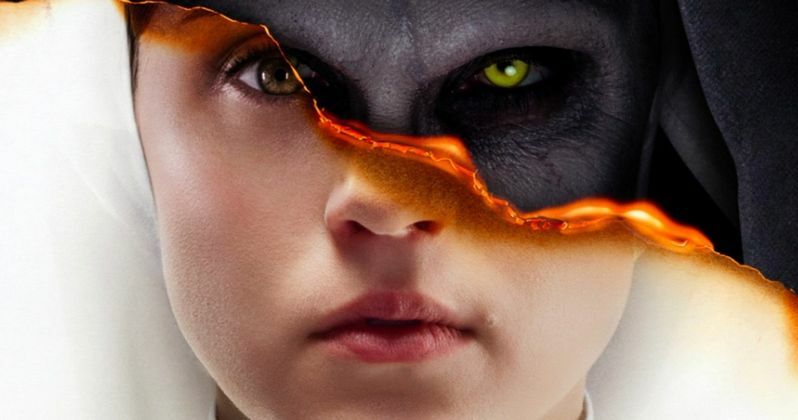 We recently heard from producer Peter Safran, a key figure within the Conjuring universe ranks, that this was likely going to be the next spin-off to get off the ground. This seems to confirm that detail, with a new voice boarding the franchise to try and breathe some new, terrifying life into it. According to a new report, Luke Cage writer Akela Cooper has officially been tapped to pen The Nun 2, which will serve as a follow-up to last year's very successful spin-off to James Wan's The Conjuring. Cooper is no stranger to the horror genre, as she's worked on American Horror Story and was also credited as a writer on Hell Fest. She's also penned a horror/thriller centered on an A.I. doll titled M3gan for Wan's production company Atomic Monster. This also will add the voice of a female filmmaker to the growing cinematic universe that is the Conjuring universe, which has been quite successful in recent years. To date, the five movies that have been released, starting with The Conjuring in 2013, have grossed a total of $1.57 billion at the global box office. Considering most of the movies were made for relatively small budgets, that means they've all turned a pretty healthy profit for the studio. The Nun, however, from a financial standpoint, is the most successful of these movies to date, having grossed $365 million globally. This, despite the fact that critics and moviegoers alike seemed to not love it, as the movie currently holds a 26 percent critical rating on Rotten Tomatoes, to go along with a 37 percent audience rating. The first movie was written by longtime franchise writer/producer Gary Dauberman and directed by Corin Hardy (The Hallow). It's unclear at this time if Hardy will return to the director's chair, nor is it clear what exactly the story will center on. Though, we can safely assume that Bonnie Aarons' evil demon nun Valak will be at the center of the tale. James Wan will produce through his Atomic Monster production company, while Peter Safran will produce through his own The Safran Company banner.